Nicolae Grigorescu, Andreescu at Barbizon (c 1880), oil on canvas, 61.5 x 46 cm, National Museum of Art of Romania, Bucharest. WikiArt. He was born in Wallachia, but on the death of his father moved as a child to Bucharest, where he was apprenticed to a Czech painter, Anton Chladek, working on icons. He completed that in 1850, and started working in his own right, painting mainly religious works. After painting altarpieces, icons, and frescos for several monasteries and churches, he was granted a scholarship to study in France. He moved to Paris in 1861, where he studied first in Gleyre’s Academy, then at the École des Beaux-Arts, where he met Renoir. For a short period he worked in Cornu’s studio, but then left Paris to join the Barbizon School at Fontainebleau. There he was influenced by Millet, Corot, Courbet, and Rousseau, and several of his paintings from that period show Millet’s clear influence. He exhibited seven works (almost all of figures in a landscape) at the Universal Exposition in Paris in 1867, the following year had a painting accepted for the Paris Salon, and he sold another to Napoleon III. 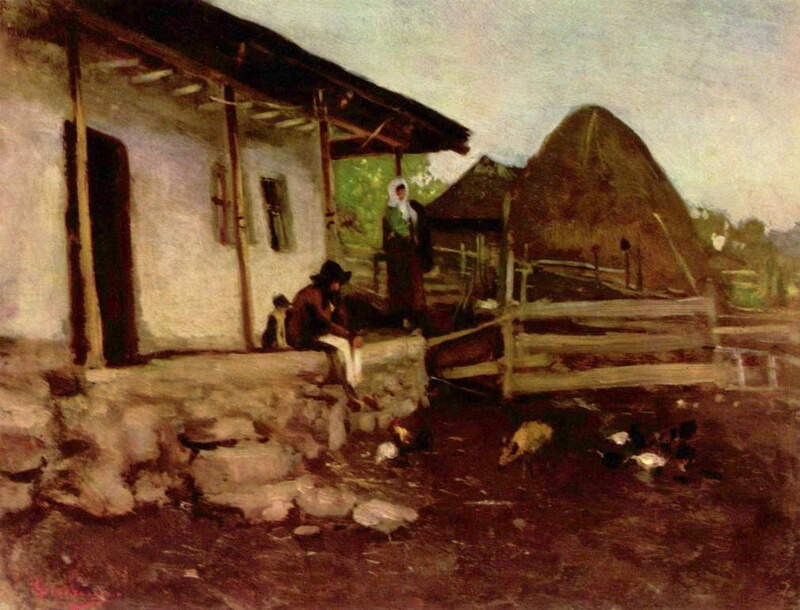 Nicolae Grigorescu, Farmhouse Yard (date not known), oil on canvas, 34.5 x 26.5 cm, National Museum of Art of Romania, Bucharest. WikiArt. His work then started to show the lightness and less finished surface of the early Impressionists. He travelled to Italy, Greece, and Vienna, then returned to Bucharest in 1869, where he was celebrated but had limited commercial success. However he gradually became established as the leading figure in Romanian art, and in 1873 exhibited 148 paintings in a major private show in Bucharest. In 1877 he was a War Artist during the Romanian War of Independence (Russo-Turkish War). He returned to France in 1879, spending periods in Vitré, Brittany, as well as in his Paris studio, where his style became more overtly Impressionist. 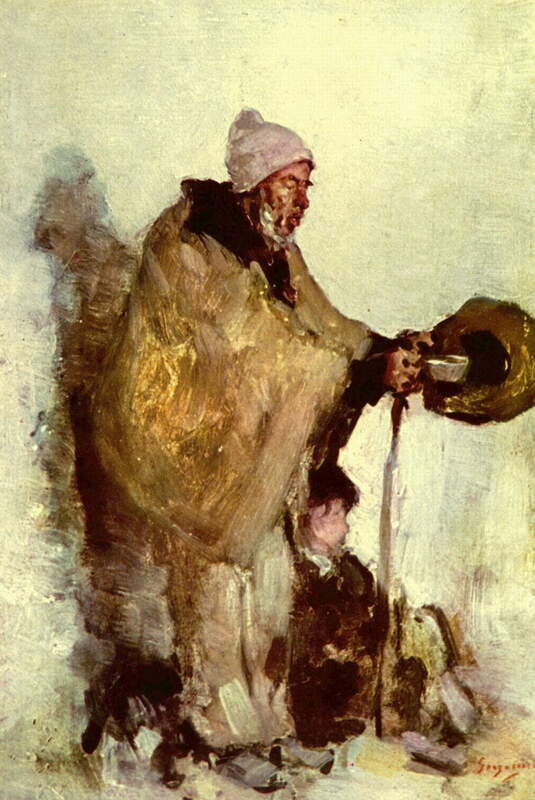 Nicolae Grigorescu, Breton Beggar (date not known), oil on panel, 25.5 x 16.5 cm, Private collection. WikiArt. 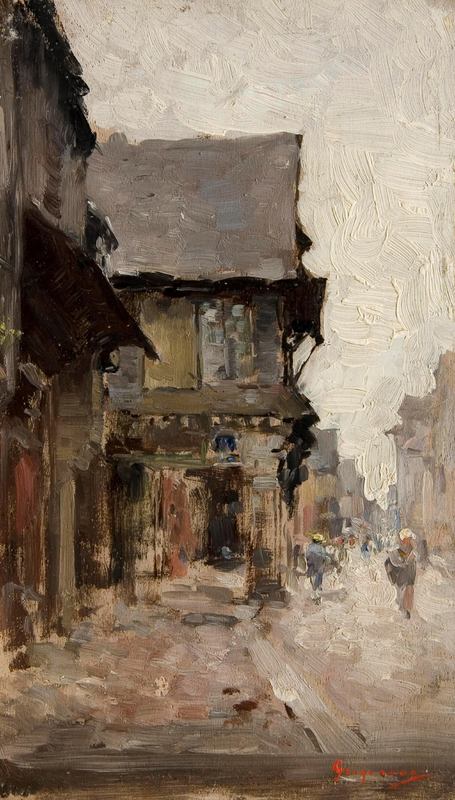 Nicolae Grigorescu, Road in Vitré (1876-86), oil on canvas, 23.4 x 14 cm, National Museum of Art of Romania, Bucharest. WikiArt. He exhibited at the Universal Exhibition in Paris in 1889, but returned to Cîmpina in Romania, thereafter only visiting France periodically, and was featured at the Romanian Atheneum throughout the 1890s. 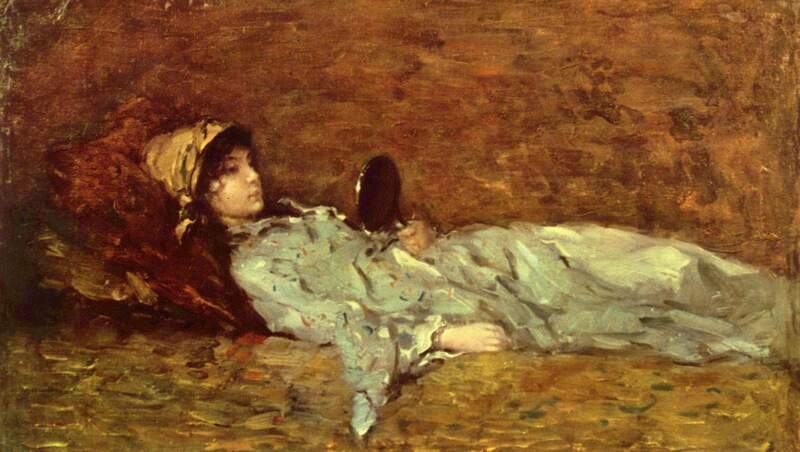 Nicolae Grigorescu, The Girl in the Mirror (date not known), oil on canvas, 22.5 x 37.5 cm, Private collection. WikiArt. 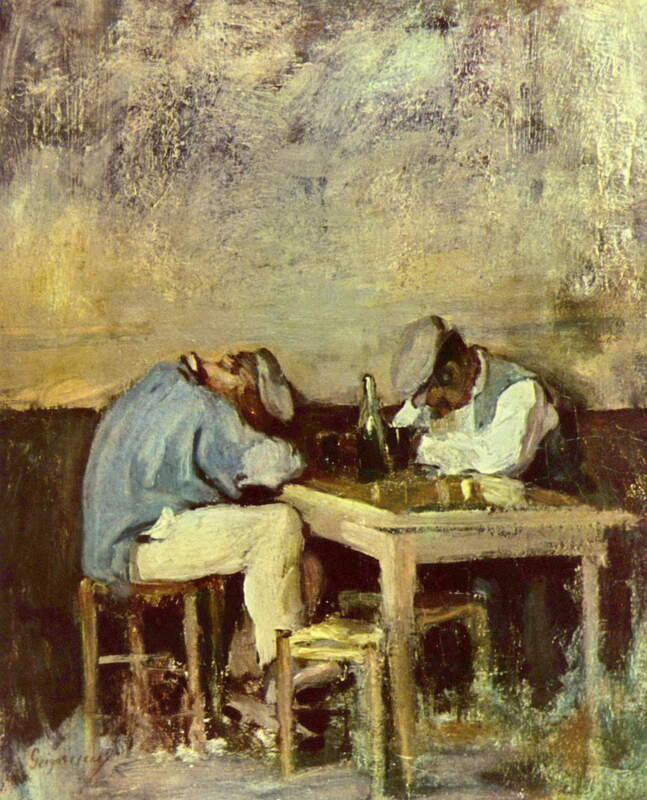 Nicolae Grigorescu, Two Drunks (date not known), oil on canvas, 40.5 x 32.5 cm, Private collection. WikiArt. 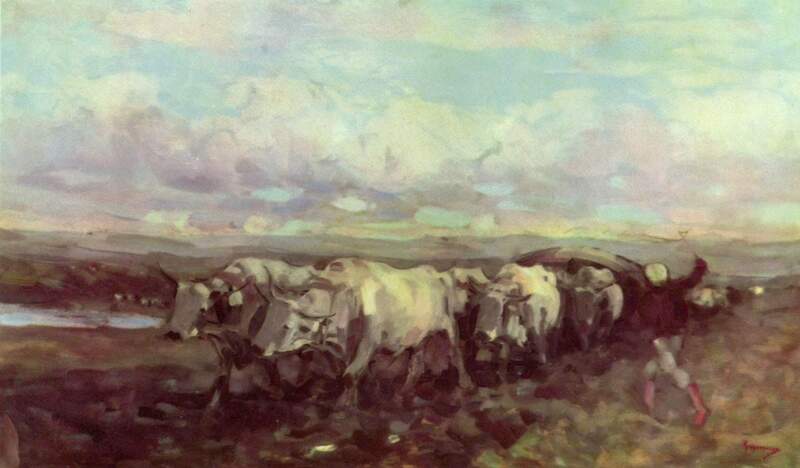 Ox teams and carts became a favourite theme of his paintings during his later years at Cîmpina, which were invariably of the local rustic scenery, and its inhabitants. Nicolae Grigorescu, Funfair in Sinaia (date not known), oil on canvas, 45 x 96 cm, Art Museum, Cluj. WikiArt. 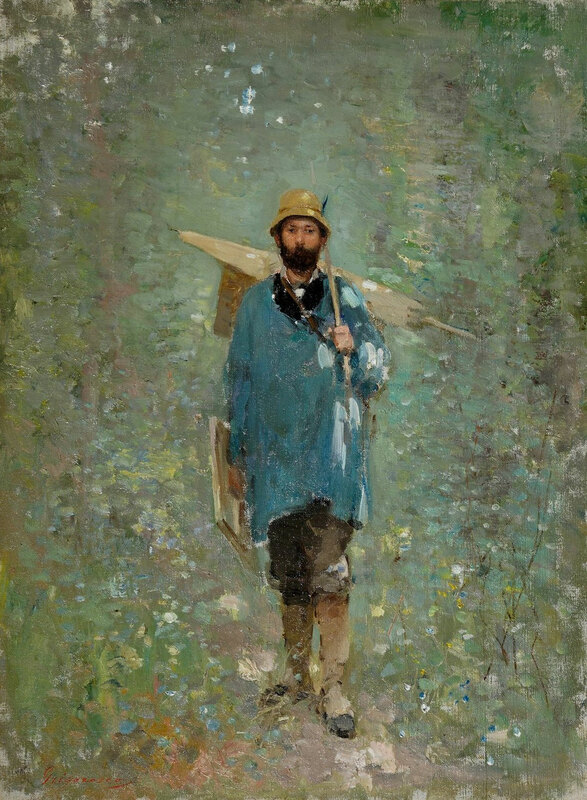 Nicolae Grigorescu, A Hard Road (date not known), oil on canvas, 69.5 x 115.5 cm, National Museum of Art of Romania, Bucharest. WikiArt. 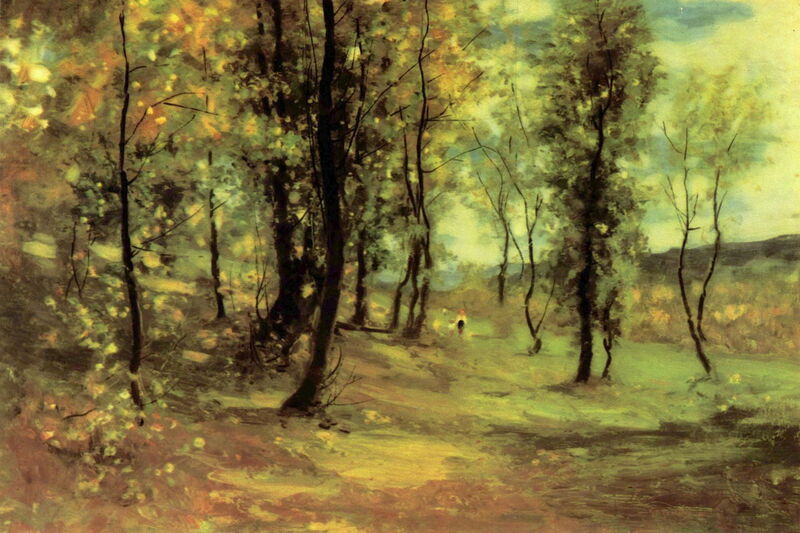 Nicolae Grigorescu, Clearing (1896), oil on canvas, 54.5 x 81.5 cm, National Museum of Art of Romania, Bucharest. WikiArt. 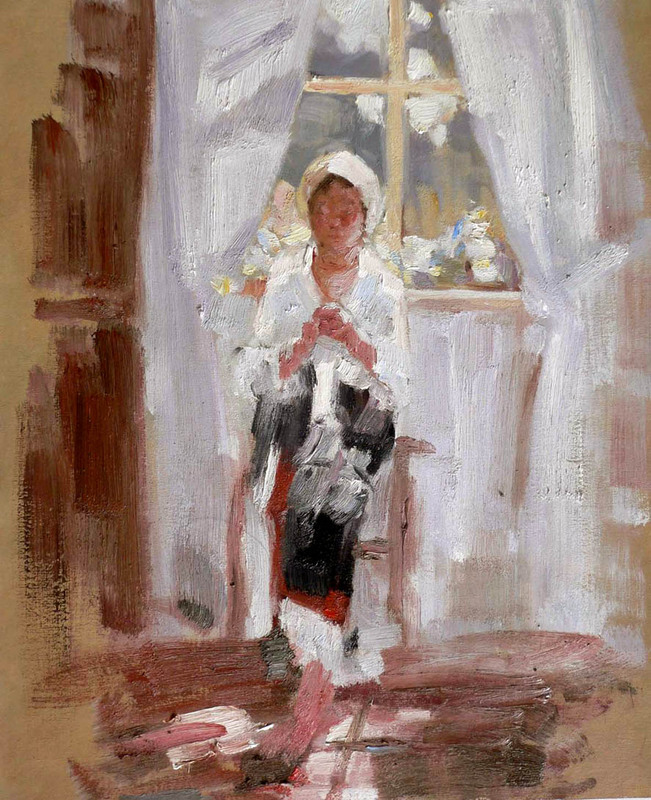 Nicolae Grigorescu, Peasant Girl Sewing at the Window (1896), oil on canvas, 39.4 x 22.4 cm, Private collection. WikiArt. In 1899 he was made an honorary member of the Romanian Academy. He died in 1907. Today he is regarded by many as the founding father of modern Romanian art, although few of his paintings are seen outside his native land. Despite being intimately involved in both the Barbizon School and early Impressionism, his name is omitted from almost every account of painting in nineteenth century France, even Rewald’s monumental History of Impressionism. Grigorescu showed progressive evolution of his style after he had arrived in Paris. At first he followed Millet, with dark scenes of peasants working the land, and the dark forest around. Some of these, and his later, works show remarkable similarities with the plein air studies of the Macchiaioli, although it is not known whether he ever worked with them. His works shown here are not only more Impressionist, but his transition to visible brushstrokes, patches of colour, and other signs of Impressionism occurred early, during the 1860s, when most of the Impressionists were still producing ‘finished’ paintings which appeared far less impressionist. He thus appears to be have been in the vanguard of Impressionism, at least until his return to Romania in about 1889. Posted in Painting and tagged Gleyre, Grigorescu, Impressionism, Millet, Renoir, Romania. Bookmark the permalink.